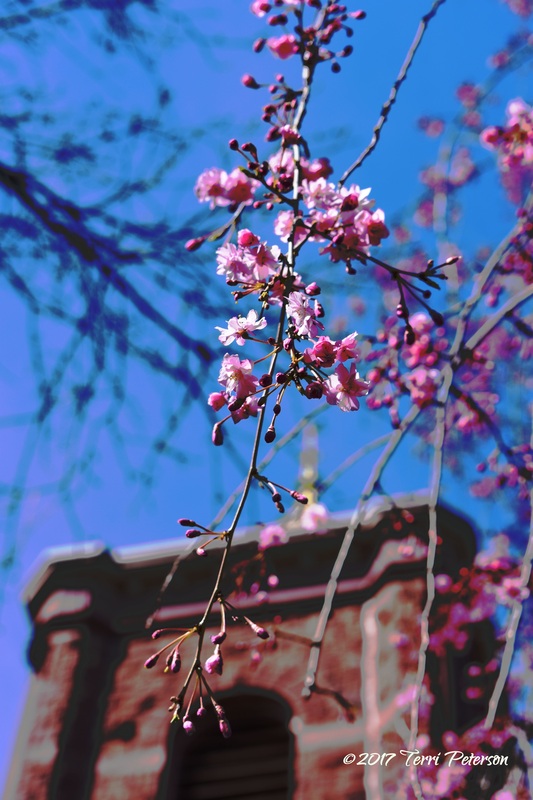 Photo A Day: Spring Blossoms–Happy Earth Day! Spring is springing all over the place; leaves are emerging from trees in that spectacular new green that only happens once a year, and Lewisburg is awash in flowering trees. And today is Earth Day. Whether you think recognizing the significance of planet Earth is hippie-dippy or not, it’s never a bad idea to stop what you’re doing, take a look around, and realize…damn, this planet sure offers up some pretty views. And, it’s the only one we’ve got. As seen in front of the spectacular pink stone church in downtown Lewisburg.